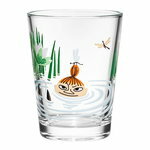 Iittala’s Moomin tumblers are decorated with the friendly characters of the Moomin Valley. The characters were drawn by the artist Tove Slotte based on the original artwork by Tove Jansson. The 2,2 dl glasses share the same design with Iittala’s Kartio tumblers, and they fit into hands of both younger and older friends of the Moomin family. Tove Slotte (b.1957) is a Finnish illustrator and graphical designer. Before becoming a designer she studied ceramics. Slotte worked at the Finnish design company Arabia 1985-1990 an today she works as a freelance designer. 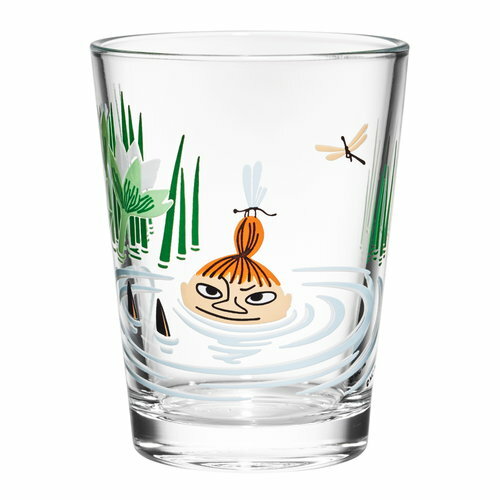 She is known for illustrating the popular Moomin-products of Iittala and Arabia. She picks up the themes from the original drawings of Tove Jansson and modifies them to fit the products.